This is my DLG. Done ad-hoc using the ironing tapering method. Design is on the fly as per @flyboa and @bracesport. 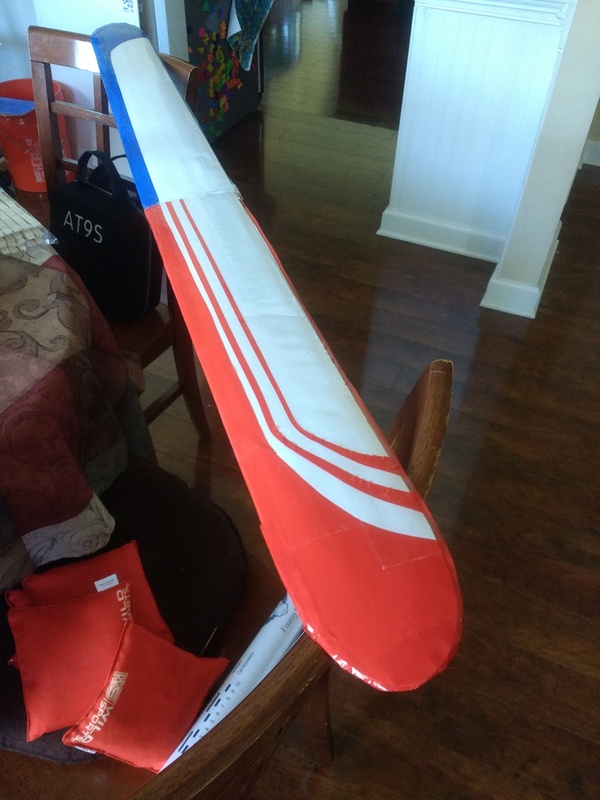 I took it to be 27" wide per wing half and 5" chord. 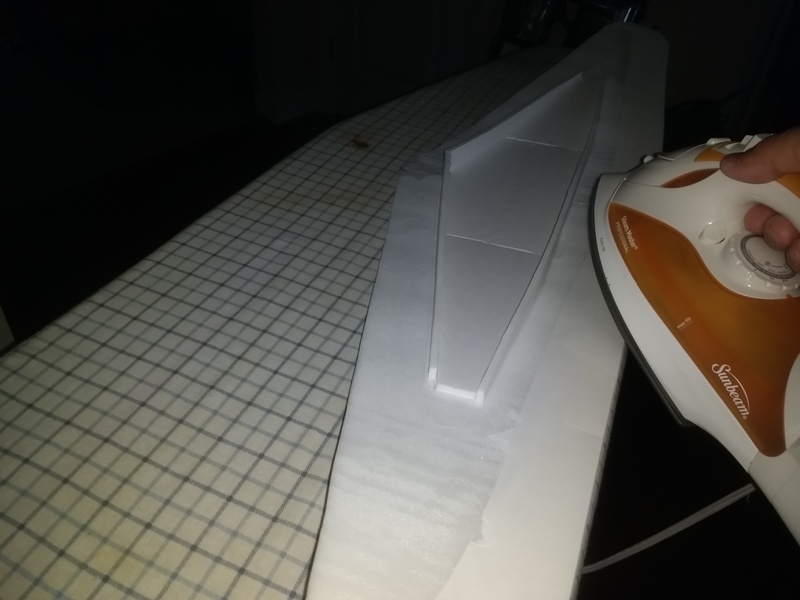 Using the leftover for the V-tail. I am putting a 5g and 2.5g in the toothbrush pod. Is that one sheet of foam board thick? 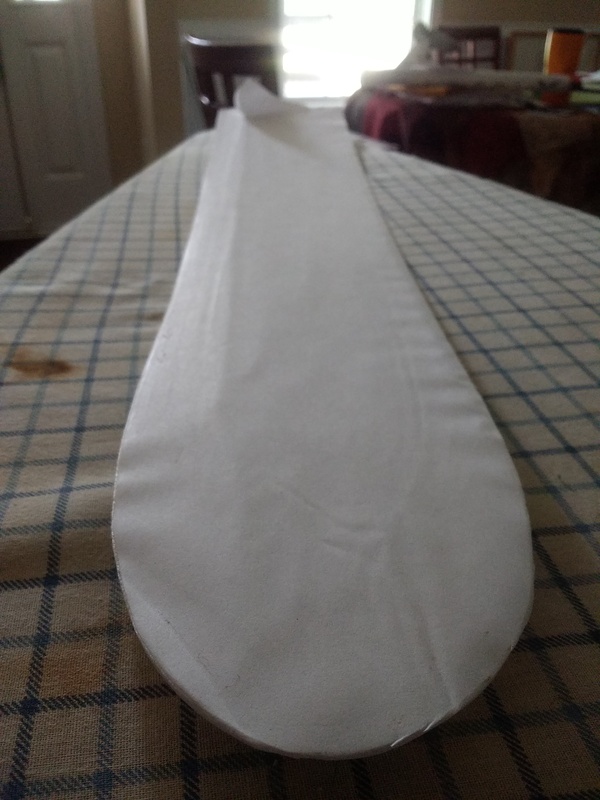 Tried the ironing method yesterday for the first time and really like it. @FoamyDM - watch out if you use a V tail for the DLG (unless its a slope soarer) as mine did not launch at all well! 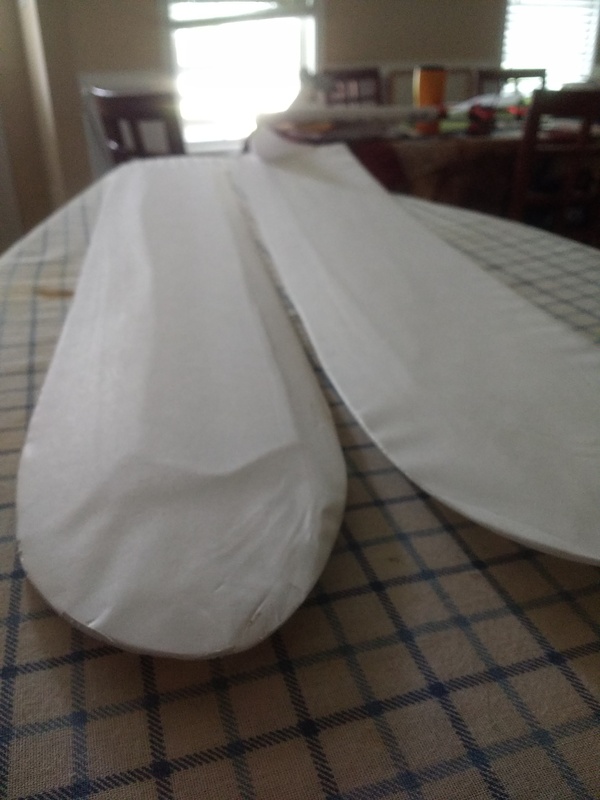 @Fidget , The wing is two sheets thick. 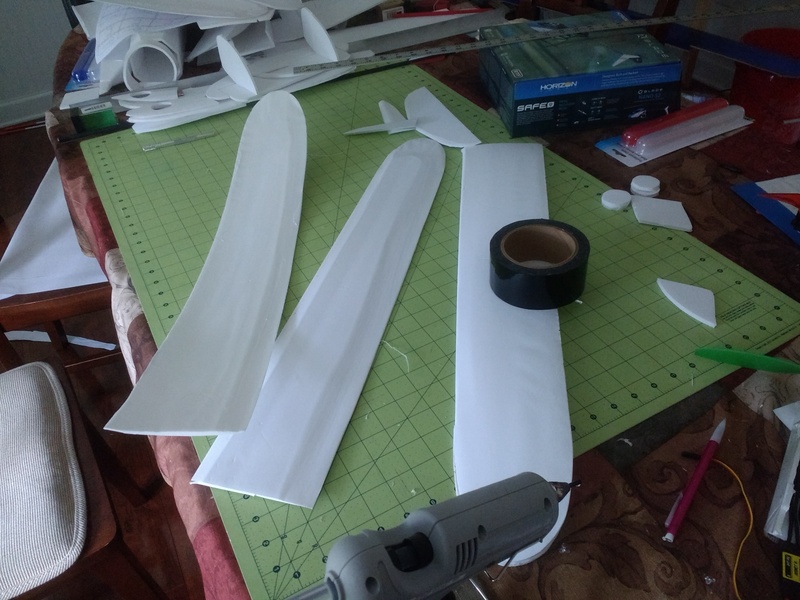 I am still debating the V-tail vs. straight horizontal/vertical fins. There is enough left to build them. I love the look of V-tail. As it's my first DLG, I should stick with simple. good on you - I think I will have a play with the iron! I swear I took more picture... If I find them, I will post. Below is the ironing action shot. It put the foam tot the edge of the iron. To get the correct angle easiest.